Congratulations to animator Torill Kove who has received her third Oscar nomination! Kove, who previously won in 2007 for The Danish Poet, is nominated for Best Animated Short Film: "Me and My Moulton" (see entry below from 2014/12/21). This latest film is an autobiographical tale, based on Kove’s own experiences of growing up in Norway. Animator Torill Kove has recently released a humorous short vignette called "Redesigning Christmas". Based on her childhood as the daughter of Danish architects, this vignette is inspired by her latest award-winning and Annie Award-nominated film, "Me and My Moulton". Padraig was excited to record the music for this wonderful vignette which features compositions and performances by the organist Kevin Dean as well as accompaniment by drummer Dave Laing. Here's a video clip of the Taylor Donaldson Big Band performing the tune Autumn in New York live at Resonance cafe in Montreal. The video was shot and edited by Evan Shay and the audio recording was made by Padraig. Saxophonist Ted Crosby is featured as a soloist and was also the arranger for this particular chart. Congratulations to Taylor and the ensemble for the fantastic music! More videos from the same concert should follow soon. The August edition of Mix Magazine features articles on two of Montreal's finest recording studios: Mechanicland and Studio 451. Both articles mention Padraig and highlight some of the recent work he's been doing there. This weekend Padraig's in studio with composer and Academy Award nominee Benoît Charest, recording the music for a new film called "The Wanted 18". This film by directors Amer Shomali & Paul Cowan will debut at the Toronto International Film Festival in September. For more information click here. "That VivaVoce’s singing should be so good is one thing; effectively capturing it for posterity is another. Fortunately, this is an excellent recording... Its warm acoustics enable the ensemble’s climactic notes to gently linger like a kiss ... Kudos to the recording team for capturing and caressing these sounds from heaven." "The very first thing I noticed from the first track onward is how very well recorded this music is—this disc easily ranks among the most impressive audible illusions of a solo instrument I've yet to hear through my system! ... Padraig Buttner-Schnirer, who recorded and engineered the disc, should be praised for the incredible work he did in presenting the music and performance with such true realism." The award-winning vocal ensemble VivaVoce has just released their latest album, Scenes from the Gospels - Motets from Josquin to Palestrina. Directed by Peter Schubert, this album features new recordings of Renaissance motets based on texts from the Gospels. Look for it on the ATMA Classics label. The Montreal Museum of Fine Arts is marking the fifteenth anniversary of the comic book publishing house La Pastèque, by presenting an original exhibition featuring fifteen cartoonists who have contributed to the success of this company. To mark this occasion the Museum has made a collection of short films featuring interviews with the artists of the exhibit. The Films are produced by Joanne Comte & Anna Lupien, and the sound post production was done by Padraig Buttner-Schnirer. 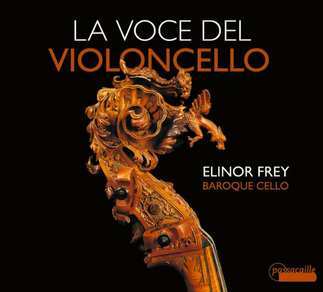 Congratulations to Elinor Frey who has just released her latest album of cello music! This album features 23 selections of Italian Baroque music and is available on the Belgian record label Passacaille. 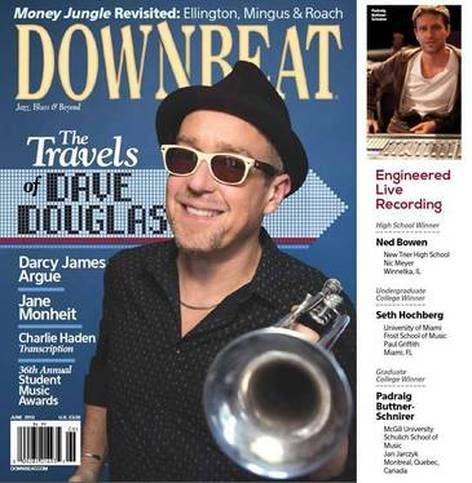 Congratulations to Padraig for winning the Best Engineered Live Recording category of Downbeat Magazine's 36th Annual Student Music Awards! The final stages of production have just been completed for the CD Encore Miniatures performed by the Williams Duo featuring Eva Svensson and Tom Williams. This CD is a collection of classical and popular tun﻿es that have been creatively arranged for two violins by Tom Williams. This week Padraig was in Toronto to accept the MusiCounts Fred Sherratt Award, presented by CARAS and Bell Media. This award recognizes twelve post-secondary students from across the country for outstanding achievement in Canadian music programs. Special Thanks to Theresa Leonard from the Banff Centre for her nomination, and all the support she has provided. 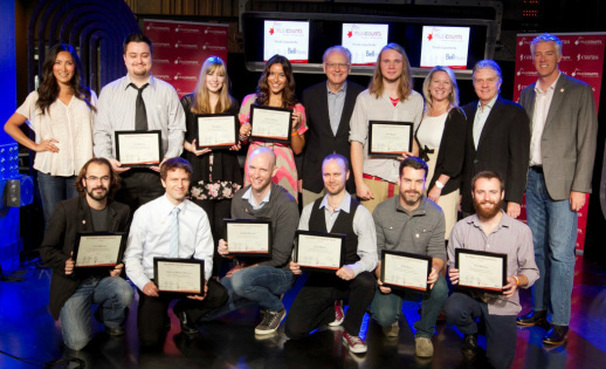 2011-2012 MusiCounts Fred Sherratt Awards. Padraig has won the Audio Engineering Society's international student recording competition! The competition was held in New York city where Padraig was selected amongst three other finalist to win first place, receiving a gold rating in the traditional acoustic recording category of the competition. This week Padraig has been working in collaboration with legendary Decca Engineer John Dunkerley along with Daniel Keinath on a CD recording session for the All Star Brass Ensemble featuring Wycliffe Gordon, Jens Lindemann, Ryan Anthony, Marty Hackleman, Keith Dyrda, Pat Sheridan & Mark Gould. Today Padraig made a live concert recording of the Cecilia String Quartet in collaboration with CBC Radio, for October broadcast on CBC Radio 2. Tonight Padraig recorded a live concert performance featuring renowned jazz trumpeter Dave Douglas in concert with the experimental jazz/rock group Kneebody. Check out these two music videos produced by filmmaker Craig Hall, featuring a Jazz ensemble led by bassist Patrick Reid. The audio for both videos was recorded live and mixed by Padraig for the production. I'll Be Seeing You from Craig Hall on Vimeo. Deloure Exquise by Pat Reid from Craig Hall on Vimeo. Padraig is honoured to be the recipient of this year's John Bradley Award from McGill University. This award is presented to the student with the best portfolio of work in each year of the McGill sound recording program. The Centre for Interdisciplinary Research in Music Media and Technology (CIRMMT) has awarded Padraig a CIRMMT Student Award for 2011-2012. This award has been granted to help fund a group research project focusing on special audio topics. Padraig will be spending the summer in Alberta, where he has been accepted to an Audio Engineering Summer Associateship at the Banff Centre. Today Padraig recorded legendary jazz musician Joe Lovano in concert at McGill University. Recently Padraig recorded the string section for a soon to be released album by artist Ian Kelly. Check out this video below with scenes from the session.